Students take a forty-minute boat trip from Dingle and arrive at the Great Blasket Island (An Bhlascaod Mór). Then, they transfer onto the island in a dingy where for the next three hours, students explore the island, learning about its environment, its history, and its people. 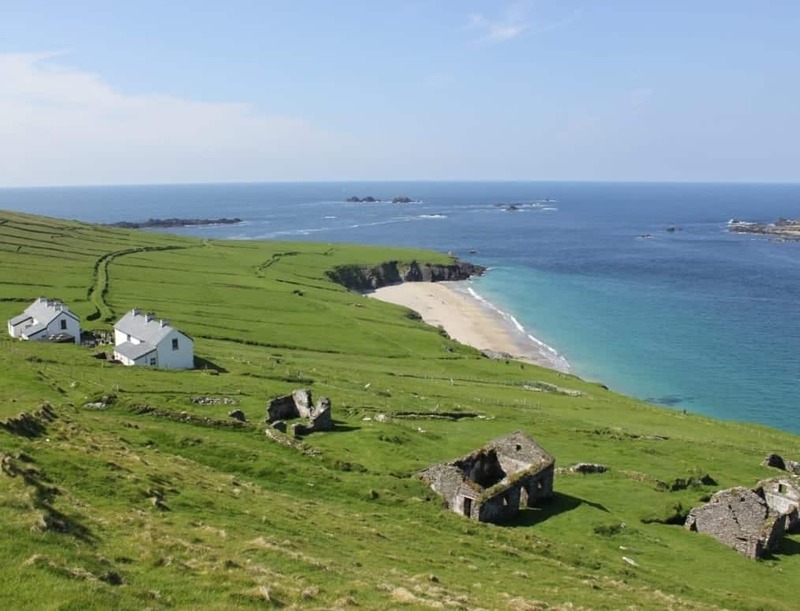 Although the island is small, it was known for its story-telling, has produced well-known writers in Irish: Tomás Ó Criomhthain, An tOileánach (The Islandman), Peig Sayers, Peig, and Muiris Ó Súilleabháin, Fiche Blian ag Fás (Twenty Years A-Growing). The island was abandoned in 1953 as most of the inhabitants had immigrated to the USA. Lunch on the beach, which could be shared with hundreds of seals, might just be the highlight of the trip. 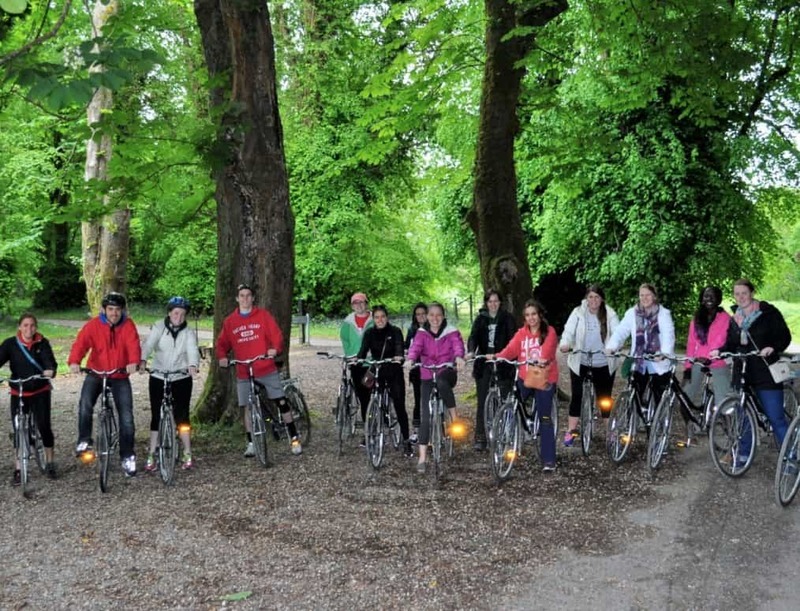 Students spend two days in Killarney and are able to cycle on dedicated paths of the 'Muckross-Dinis Loop' (22km) on a route through forests and fields, passing around Muckross Lake (middle of three Killarney Lakes). 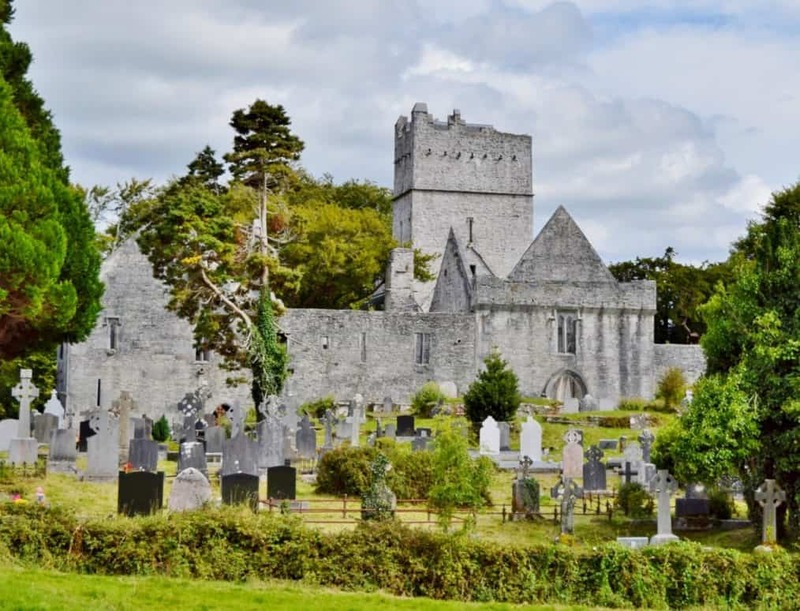 The route passes by Muckross Abbey (founded in 1448 as a Franciscan friary) to Muckross House (a 65-room Tudor style mansion built in 1843 with extensive Sunken Garden, Rock Garden and Stream Garden) as well as the Dinis Cottage and Old Weir Bridge. One of the highlights is to view the Torc Waterfall that is 20 metres high. Students are able to play golf at the beautiful Ceann Sibhéal links course, located only 12 miles from Dingle. 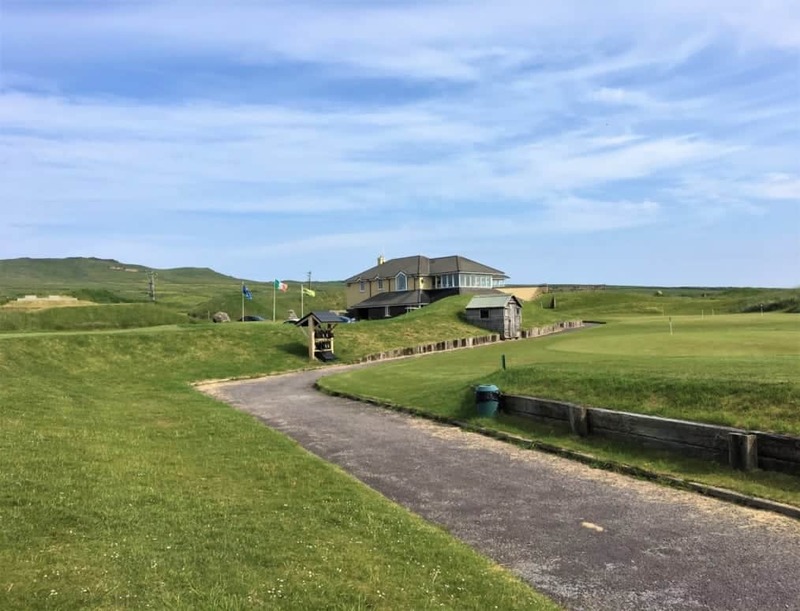 It offers the golf enthusiast a good challenge and a wonderful day of golfing with its true links characteristics of uneven fairways, thick rough, and small, deep bunkers where it is frequently windy. Students get an opportunity to do a number of hill walks from the relatively easy Eask Tower walk to the more strenuous Mount Eagle walk. There is also a beautiful valley walk into Mallach na mBó. 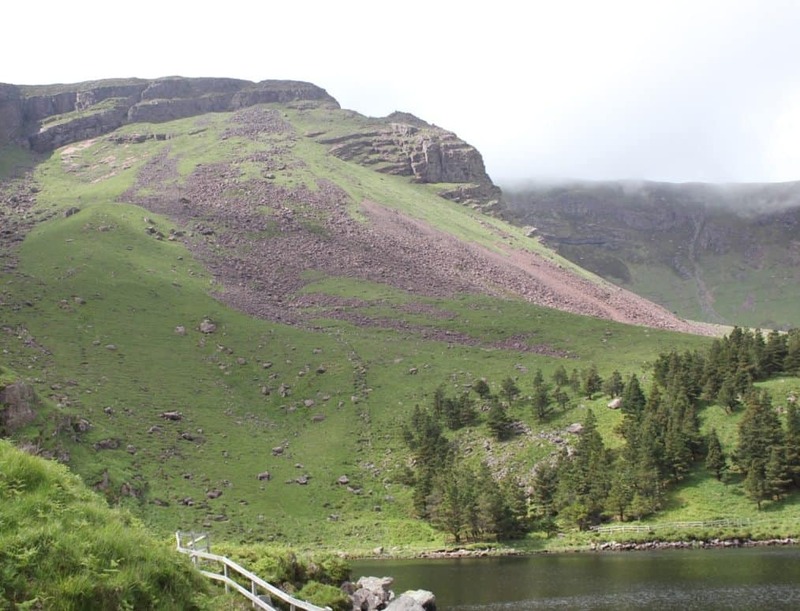 Students may also get an opportunity to climb Mount Brandon, which is the second highest mountain range in Ireland. All walks are optional. Good walking shoes are recommended. Only students with proper hill walking shoes (with ankle support) are allowed to do the Mount Brandon walk. Students should be aware that hill walking can be dangerous and should only do the walk if they are fit and healthy. 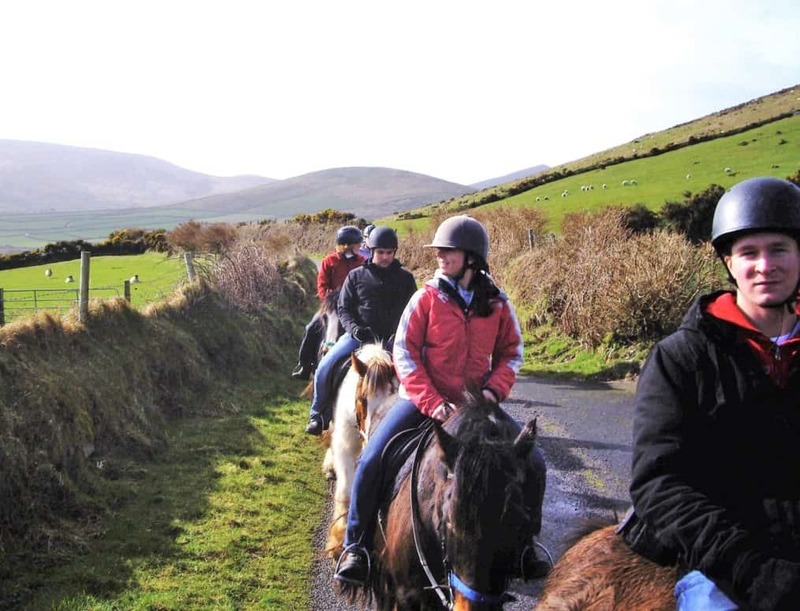 Students get an opportunity to go horse-riding with Long’s Horse Riding Stables in Ventry. The Irish cob horses have an excellent temperament, so students who have no experience should not be nervous. Part of the walk is on the beautiful Ventry beach. Note: If you do have significant prior horse riding experience, the staff at Longs will do their utmost to accommodate your additional requirements, such as galloping. Ireland is famous for its Irish dancing, and Dingle is a hot bed of Irish dancing champions, including David Geaney, who is a five times world dancing champion. 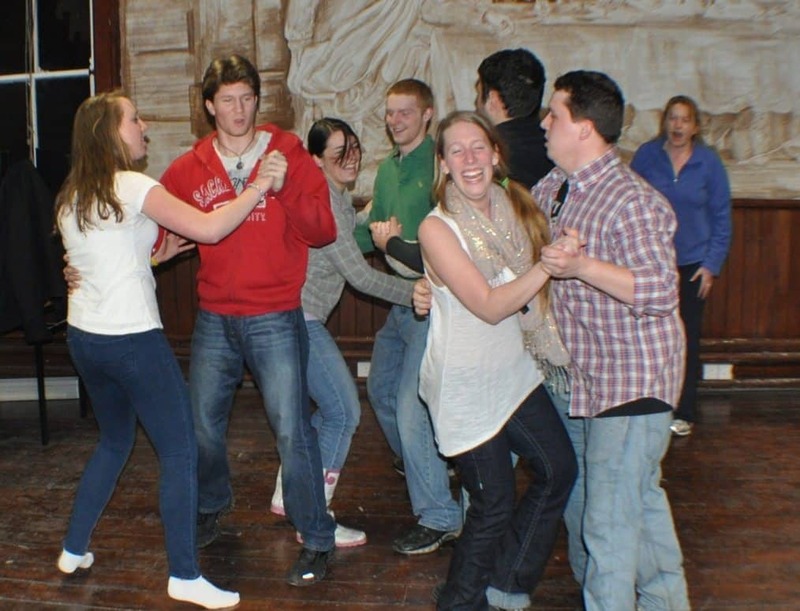 In Dingle, students will receive a fun introduction to Irish dancing. Over the course of one hour, students will go from a novice dancer to an accomplished beginner, all in the name of fun. No prior dancing experience is required, just bring some comfortable shoes. ‘sean-nós’ or translated from Gaelic means ‘old-style’. It is a form of singing that Ireland is famous for. 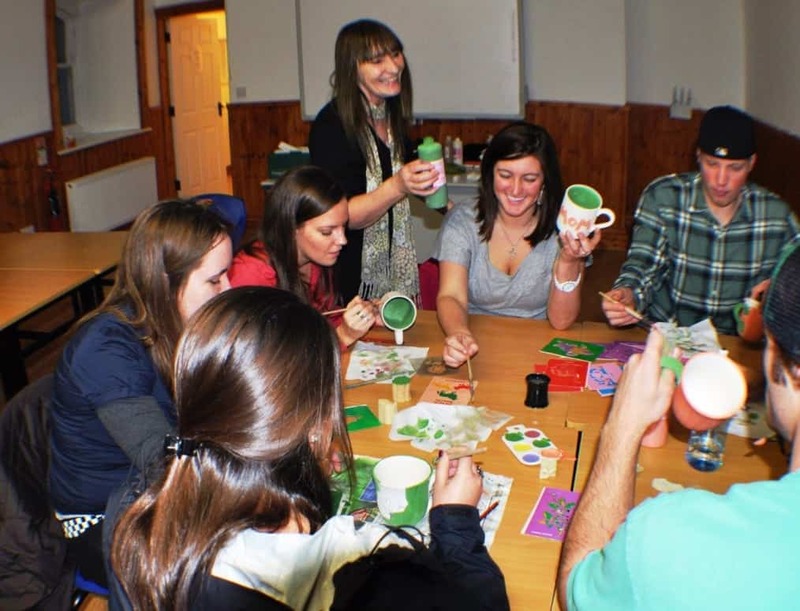 Ireland is also famous for sing-songs in the pubs, this activity combines both of those. Students will be given an opportunity to listen to Gaelic songs song in the traditional style in a unique pub setting. In addition, students will hear more contemporary songs in English. Indeed, students may have the opportunity to learn the chorus of an Irish language song and sing it on the night, a very unique Irish experience. 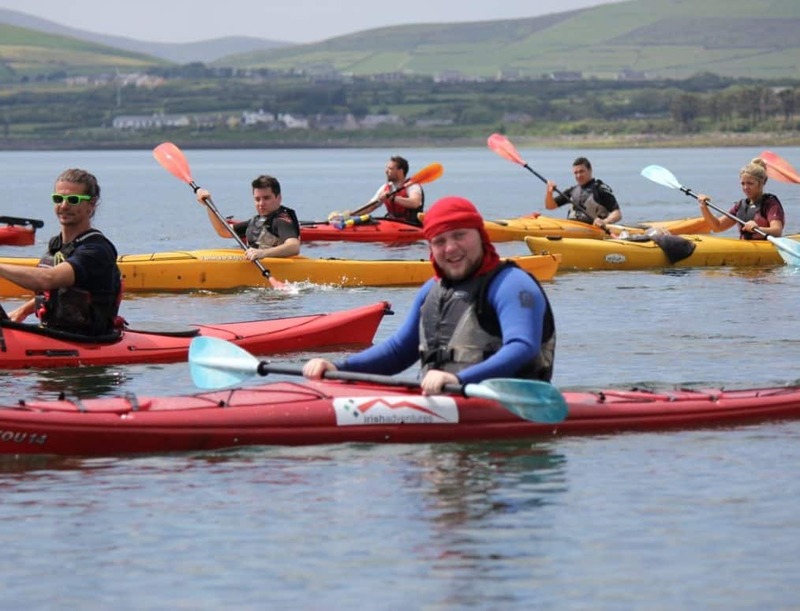 Take a 2 hour kayaking tour of beautiful Dingle harbor with Noel O’Leary from Dingle Adventures. Students will be given all the equipment, kayak, wetsuit and paddles. 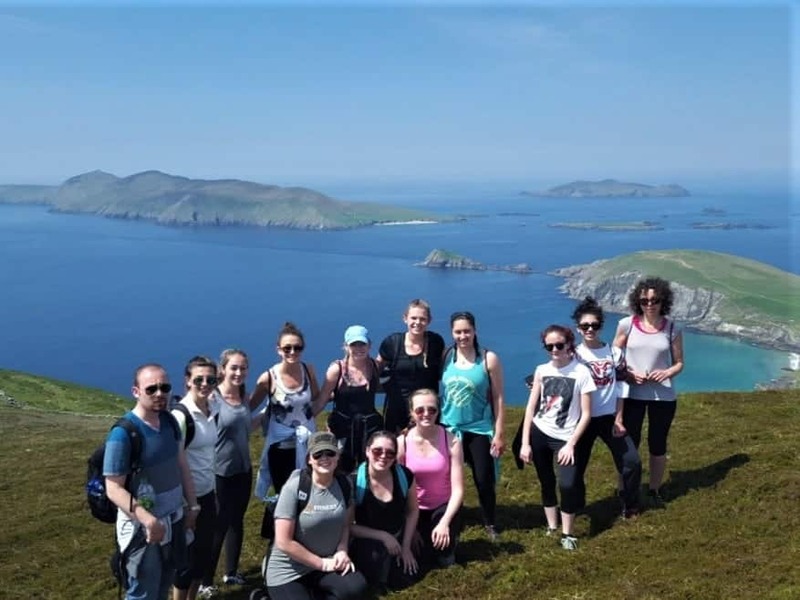 Noel will take students out around Dingle harbor where they can explore a number of sea caves and maybe get up close and personal with Fungi, the Dingle Dolphin. No prior kayaking experience is required. Students need a certain level of fitness to enjoy this activity. Students are able to explore Killarney town for two days and stay one night in a very nice hotel in town. Depending on the weather conditions, an optional cycle tour will be organized bringing the student around the Killarney National Park. Some of the sights/activities in Killarney include: Muckross Abbey (founded in 1448), House and Gardens, and Farm, Torc Waterfall, Ross Castle (built 15th century), and Kennedy’s Pet Farm. Students will have free time to explore the town, historic sites, and do some shopping. 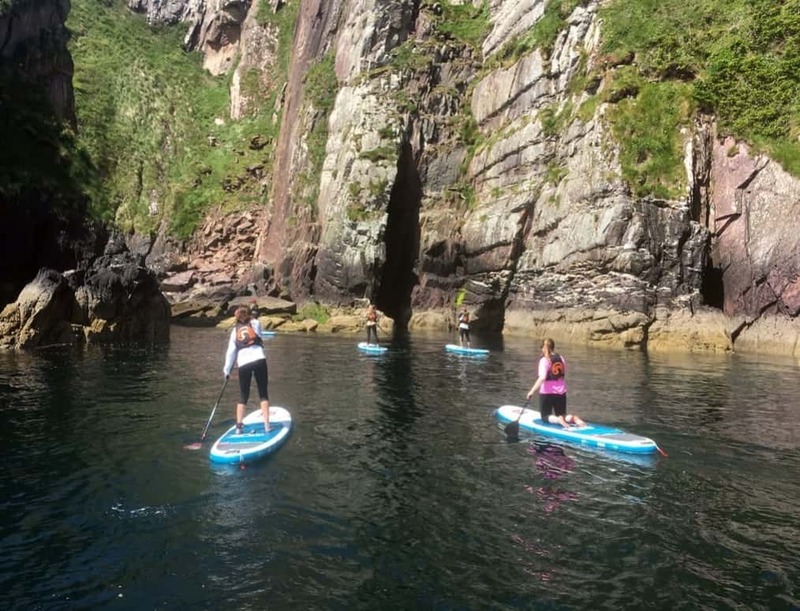 Stand Up Paddling is a wonderful way to discover Dingle harbour. The freedom and serenity of gliding along at one’s own paddle speed connecting with the environment will give students an unforgettable experience. No prior experience is necessary, all the equipment (board and wetsuit) will be supplied by Ben from the Dingle Surf Shop who will tailor the tour to the students’ ability. See Fungi, the Dingle Dolpin up close and personal, explore sea caves. Students will be given a blank pottery mug/cup and some paint brushes and stencils where they can then let their imagination run wild. The students can paint using their own design, or decorate the mug with a personal message. It will then be fired in the kiln and can be collected later. Whatever the finished product looks like, it’s guaranteed to be a treasured possession for parents or grandparents if given as a gift or students can keep as a reminder of their time in Dingle. Saint Patrick is Ireland’s national saint, who is celebrated internationally on the 17th of March each year, but a second important patron saint for the Irish is Saint Brigit, who is celebrated on the 1st of February. Students will get an opportunity to make a Saint Brigit’s Cross. 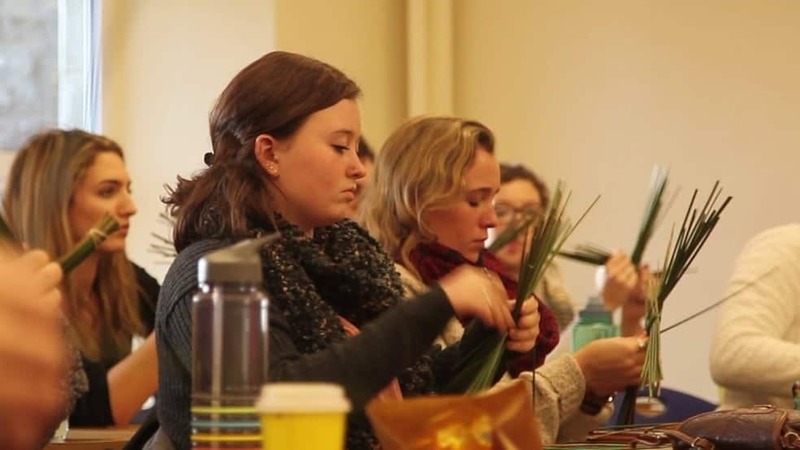 Made from rushes that are found growing on marginal wet land, students will be participating in a tradition that is centuries old. It can make a beautiful gift for a loved one at home. 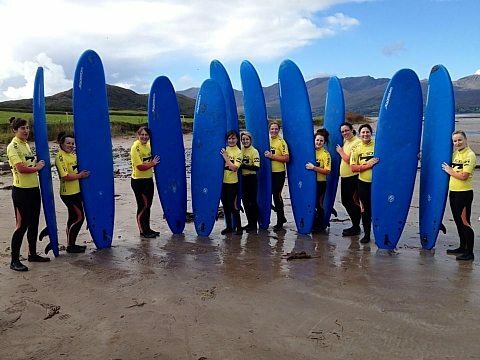 Yes, students can go surfing in Dingle! Students will be given a wetsuit to stay nice and warm and Ben, from the Dingle Surf shop, will give instructions, which should have students standing on the surf board in no time. No prior surfing experience is required. Trained instructors are provided to ensure that safety of the students. This is the perfect opportunity to learn to surf in a safe location overlooking majestic Mount Brandon. Learn how to cook traditional Irish dishes up to modern day Irish cuisine. Mark Murphy provides students with a unique, tasty, and unforgettable time. 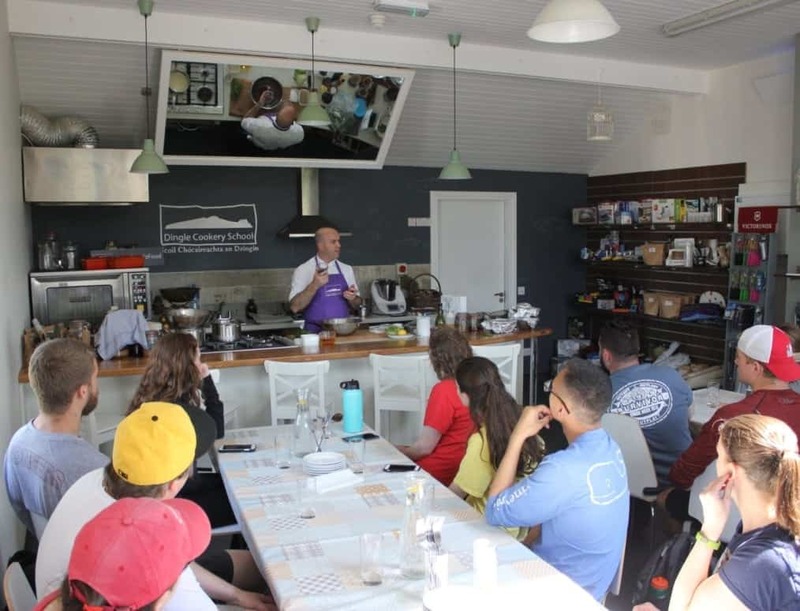 Students can forage for local ingredients such as scurvy grass, sugar kelp, irish moss, dulse, sea lettuce, gorse flowers and incorporate these into amazing dishes. Truly field to table in addition to farm to table.